The same insulation that makes a MAAX Spas hot tub energy efficient also aids in it’s quiet operation. Sound energy is trapped and deadened inside the spa by the thermal barriers. 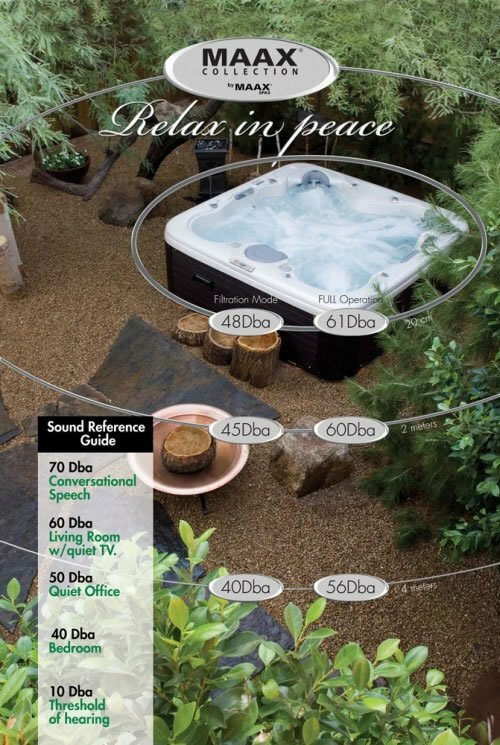 Quiet operation is essential to ensure a peaceful and relaxing experience throughout the entire backyard environment.